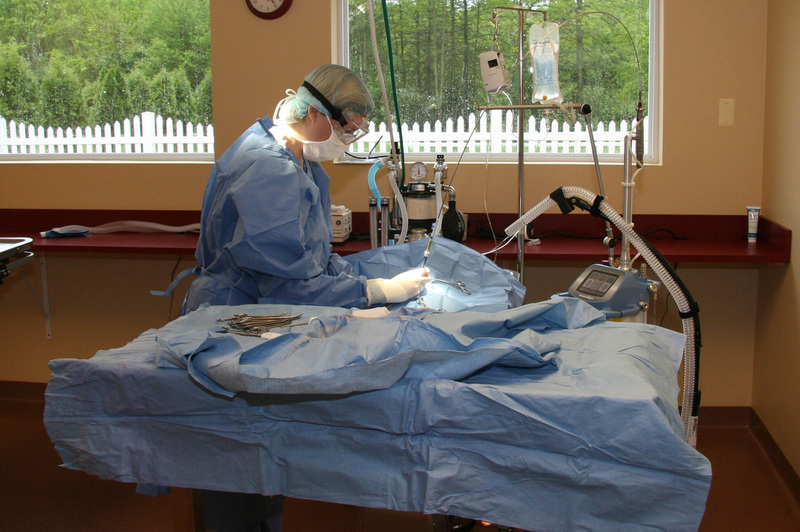 At Barnside Veterinary Hospital we perform many types of surgery from spays (hysterectomies), castrations and mass removals to major abdominal (stomach, spleen, tumors, foreign objects), thoracic (heart and lungs) and orthopedic (fractures, dislocations, ligament injuries) procedures. We use a state-of the-art surgical LASER for most surgeries (less pain and bleeding). Our anesthetic drugs and monitoring equipment rival any human hospital’s. Sterile instruments, drapes, gowns, gloves are used for each procedure. Highest quality suture materials and instruments are always used.